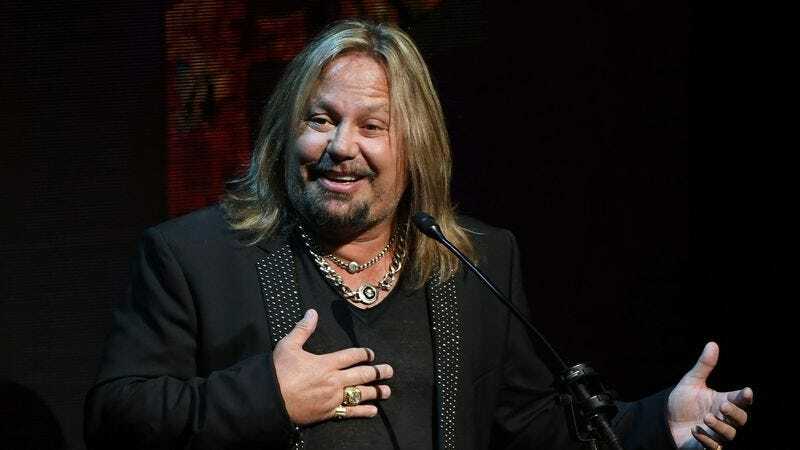 Yesterday, we reported that former Mötley Crüe singer (and future Celebrity Apprentice cast member) Vince Neil would be playing at President-Elect Donald Trump’s inaugural on January 20. At the time, the booking seemed like a natural bit of reality show synergy, given Trump’s career-making history with the show. The presidential inauguration is organized by Congress, via the Joint Committee On Inaugural Ceremonies, a bipartisan group that currently includes Paul Ryan, Mitch McConnell, Chuck Schumer, and Nancy Pelosi. We’re not sure which of those political bigwigs is a closet Mötley Crüe fan, but presumably they’re pretty bummed that the Trump folks pulled the plug on Neil’s gig.